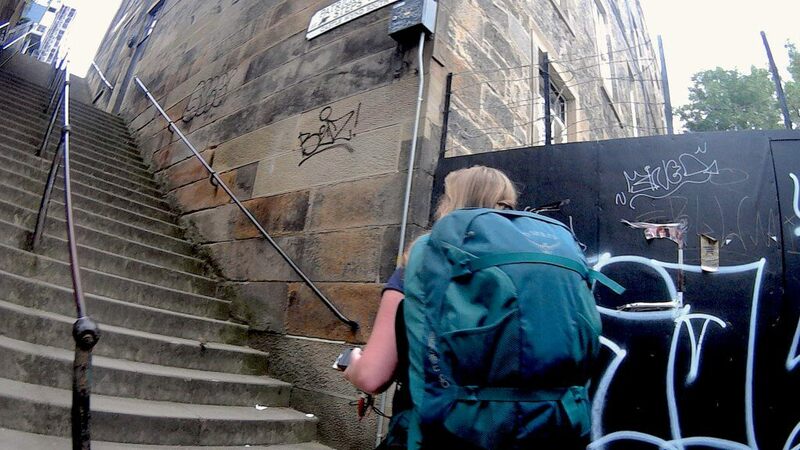 When you choose your backpack (or rucksack) it can be difficult and time consuming, and so it should be. Your new backpack should become your new best friend on your trip. There’s a lot to think about when you choose your backpack: there are different shapes; sizes; fits and features. Different backpacks have different purposes. 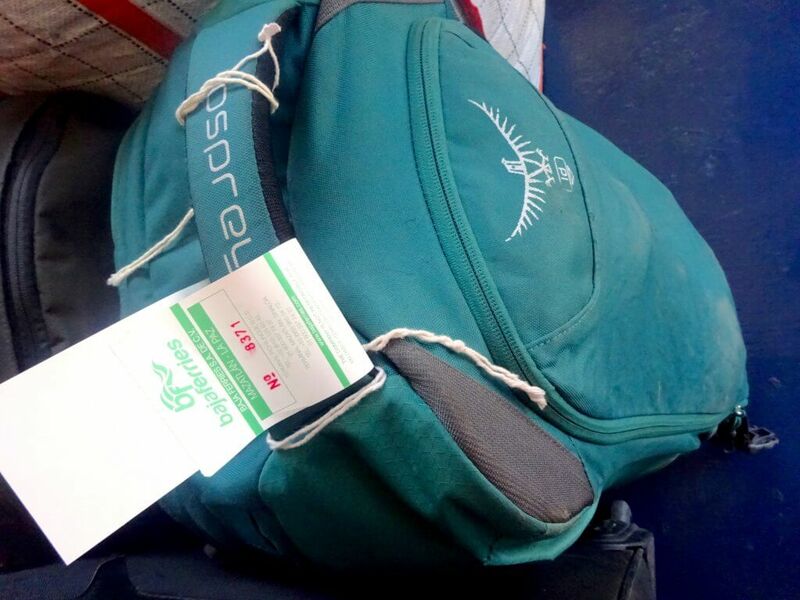 The first thing to think about is how long your trip is, this is a good starting point for the size of the bag. It’s important to shop around and try a few on. I’d recommend going to a specialist store and ask for assistance. The staff generally have training, so can help you choose the right backpack for your size, shape and trip. Don’t let the staff bully you into buying though, if something doesn’t feel right, leave. For instance, there are backpacks that are ‘standard’ and some that are ‘woman’ fit, however, don’t take this as law, find what is comfortable. It’s all about you. Is the backpack comfortable on? Can you move easily? Does it feel heavy? You may need to spend a bit money for a decent backpack. Generally you do get what you pay for, so be prepared and know your budget. Some of the higher end rucksacks can be a little overpriced and have features that you’ll never need. However, don’t just go for the cheapest you find. 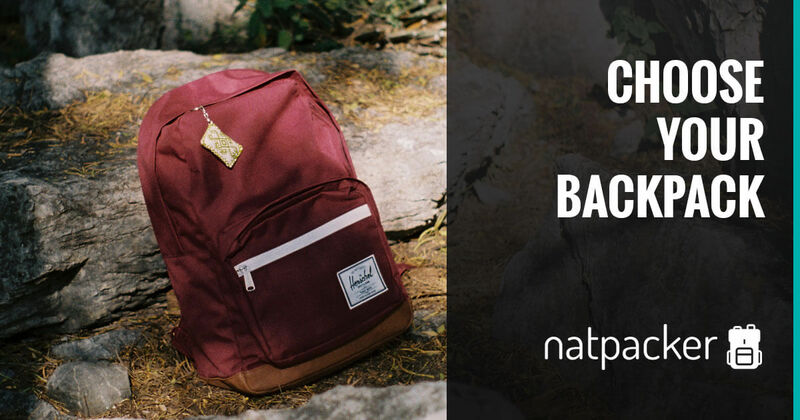 When you go to choose your backpack it can be like shoe shopping, you may fall in love with the look of one, but it may feel terrible once it’s on your back. Try several shops and several styles when you’re looking to choose your backpack. You’ll know once you’ve found your new best friend – it seems like the backpack chooses the backpacker, not the other way around. As I’ve mentioned, the best place to start, when it’s time to choose your backpack, is to think about the length of your trip. This will determine what size of backpack you need. But also think about if you want to travel carry-on only. 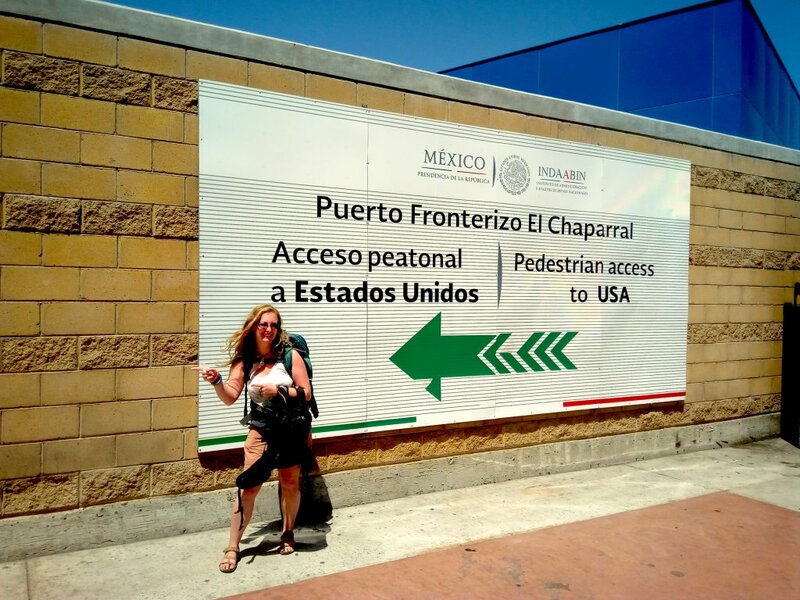 It is possible to travel longterm with a smaller backpack, I did six months in Mexico with carry-on. Look at the material; is it water resistant? Is it lightweight? Look at the features that come with the rucksack; extra pockets and compartments are good, as well as a rain cover. Take a look at the design, I’d recommend an internal frame and lots of adjustability. Next, it’s time to have a try. Choose your backpack, try it on and adjust (you may need a shop assistant to help here). The right fit depends on your back length and build, not your height. Most backpacks have adjustable back straps, as well as shoulder, hip and chest straps. Once it feels comfortable ask if you can put some weight in it. About 15 kg is a good amount, when I was choosing my backpack for my year out, the assistant put two tents in it, to see if it is still comfortable. If it fits well, feels comfortable with weight in it, you can move with the weight, it’s within your budget and you like it – Yay! You’ve found your backpack. There are a number of different backpack sizes to choose from, it’s important you get one that is fit for purpose. If you choose your backpack and it turns out to be too big, you run the risk of overpacking and making it too heavy, too small and you won’t be able to take all that you need! The capacity of backpacks is generally measured in litres, and this normally includes the pockets. I don’t know about you, but I have no idea how much I can fit in, say 30 litres. So it’s best to look at the physical size and compare. These backpacks are small and versatile. They can be used for a shopping trip or a day out. Their small size also makes them perfect for children or runners and cyclist. These are not designed for long trips or for carrying much weight, however as an extra bag for hand luggage on a large trip, the size isn’t a bad choice. I have a 10 litre for one or two nights away. It also comes in handy for days out, it easily fits in a water bottle, snacks and a waterproof. These backpacks, as you can probably guess from the name, are perfect for one day’s worth of gear. They are perfect for day walks/hikes, as well as being good for commuting. Many are also hydration compatible. The larger end of this size can be used for short trips, but not if you need sleeping bags or a lot of camping gear. This size of backpack is designed for heavier loads and longer trips. They usually have more features than the daypack, like more padding and pockets. They are great for a trip of several days and can be used for a few days of camping, fitting in a tent and sleeping bag as long as you pack light. Some of these still count as carry-on luggage. And if you’re clever about it, you can travel for a long time with just a carry-on sized backpack. I travelled for six months with the Osprey Fairview 40. I love this backpack, it’s perfect for long trips, but is also able to compress well for shorter trips. Now for the big ones. This size of backpack is for extended hikes (and camping) and long trips. They generally have plenty of pockets and compartments for your gear. I took a 75l Karrimor rucksack on my first year out. I thought it was all that I needed at the time, with plenty of space. But since then I have learnt that less is more. I definitely overpacked for that trip. Don’t get me wrong, that backpack has a special place in my heart, but I now see it as far too big. By the design of the backpack, I mean things like the material and straps. Generally, the bigger backpacks have more straps for comfort and the amount of padding is also an important feature. The design can be standard or women’s, but don’t take that as law, make sure the design fits you and is comfortable. The material of your chosen backpack should be thick and lightweight. It should also be water resistant (if not completely waterproof) as it’ll probably happen at least once when you have to walk from the train station to the hostel and it starts lashing it down. You want the backpack to keep your gear dry if you have to walk through some drizzle. Most backpacks now have an internal frame, which is great! Having the rods and frame all hidden away make the backpack looks better for starters. No one wants a big, clunky metal frame on the outside of their backpack. Having an internal frame also makes the backpack slimmer, so you can move more easily, plus there’s no rods sticking out to get caught on anything. The internal frame also helps to distribute the weight of the backpack so that it is supported on your hips, which will help your walking posture. The chest strap helps to distribute the weight of the backpack and ensure that it is secure. Adjustability is vital to ensure the backpack fits correctly and with many larger backpacks the height of these straps can be adjusted to the length of your back. Another important feature for larger backpacks is if the straps are padded – important when you’re carrying heavy loads. Once again, these straps should be adjustable, for the correct fit, and padded, for comfort. Ensure the padding in the shoulder straps are thick and made of one piece of material. This makes it less likely that the padding will split and thin out. The padding in the shoulder straps help to take pressure off your shoulders and lower back. You’ve guessed it, look for an adjustable and padded hip belt on larger backpacks. The hip belt helps to distribute the load and secure the backpack around your hips. 70% of your load should be on your hips to reduce the strain on your back (and so less future back problems). A contoured backpack is generally more comfortable to carry as it allows for the natural arch of your back. This also creates a small space between the your back and the bag, allowing cooling air movement, which is great when you’re lugging a large bag around. Many larger backpacks have several extra features in their design. These features are normally made with travelling in mind. When you come to choose your backpack look at the features and decide what you require for your trip, or what would make your life easier. Pockets and compartments are great to help organise your backpack when travelling. This makes it easier for you to access your gear. Some larger backpacks have a separate bottom compartment that can be accessed externally by a zip and internally by a drawstring (my largest backpack has this feature and I found it useful for separating my ‘nice going out’ clothes from my general day-to-day wear). Internal pockets are great for security – you can hide your valuables here. External compartments, such as mesh pockets are ideal for water bottles. Some bags have handy pockets on the hip belt or top, which is great for frequently used items. These straps can be found on the top, sides or down the front of your backpack. These straps tighten to reduce the volume of the backpack which also helps to minimise any movement of your gear. Some backpacks have a cover that can be zipped up over the straps when not in use. This is really helpful if you have to put your bag in the hold on flights. They don’t like your bag to have straps hanging everywhere, which may get caught on something on its way to the plane. I found this out the hard way, my Karrimor backpack doesn’t have this feature, but my partners does. So whilst he can just zip up and check his bag in, I have to spend a few minutes securing all my straps. Now I have a backpack that does have a strap cover. Just another reason I love my Osprey. You might get in late and have to walk to your hostel. Reflective piping is a handy feature to have ‘just in case’. It’s also essential if you plan any night hikes. External clips and hooks are ideal for attaching gear that you often need. This is especially important for hiking, as you may need the walking pole loops. Although the overall material should be water resistant, a waterproof cover is a handy feature to have. This is useful if you get caught out in heavy rain, or a long time in the rain. Many backpacks have a rain cover that can be tucked away into a handy pocket. Rain covers can also be bought separately if your backpack doesn’t have one. Two zips on each compartment makes them lockable. It may not be possible on all compartments, but as long as there’s a couple for your valuables. This is important when travelling and you may not always have an eye on your gear. It can sometimes be worth finding that perfect bag in a store, but then check out prices online – you may get it cheaper. And trying it on in store means you know it fits. When you choose your backpack the most important feature is the fit. It’s you that’ll have to lug all that weight around. Try with some weight in the backpack once it’s on and secure. Another good feature (if you can) is to have a bright colour – easy to find when you get off the plane. Or you can just decorate it yourself to make it stand out. The adventure of the Sten (joint Hen and Stag Do). 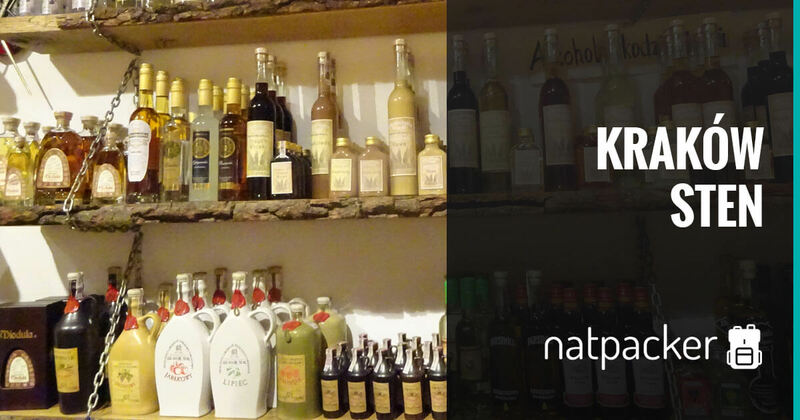 The destination was Kraków and the goal was a good time! 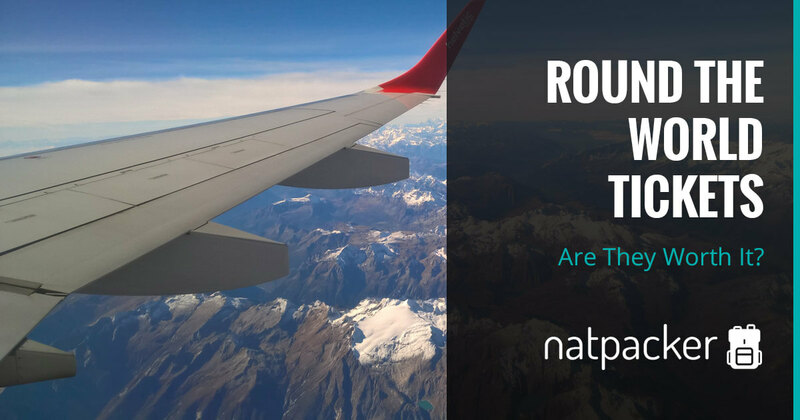 Round The World Tickets may or may not be the right option for your adventure. Have a look at the pros and cons to see if it's the right choice for you.